In the 2013 season opener for the Tigers, the Oneida Indians came to town and stole a win from the Tigers 13-12 in OT. 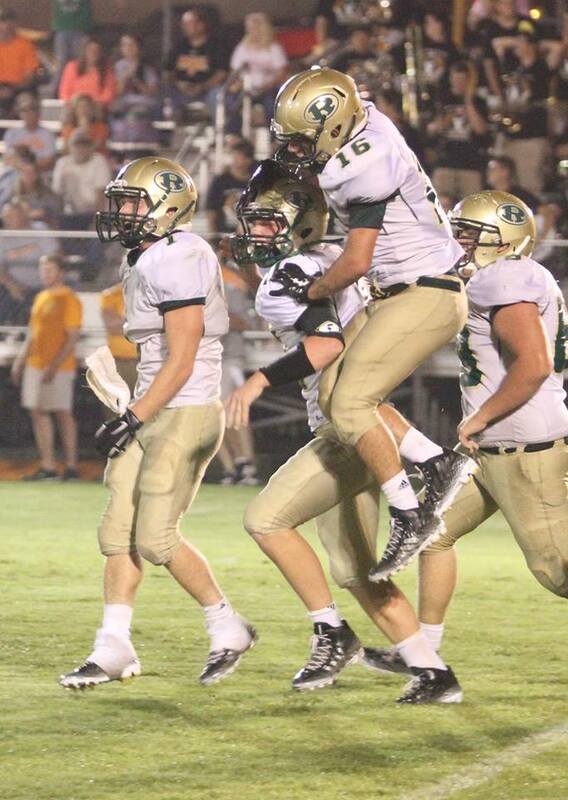 Friday night the Tigers traveled up the mountain to Oneida and stole one from them winning in thrilling fashion 14-13. 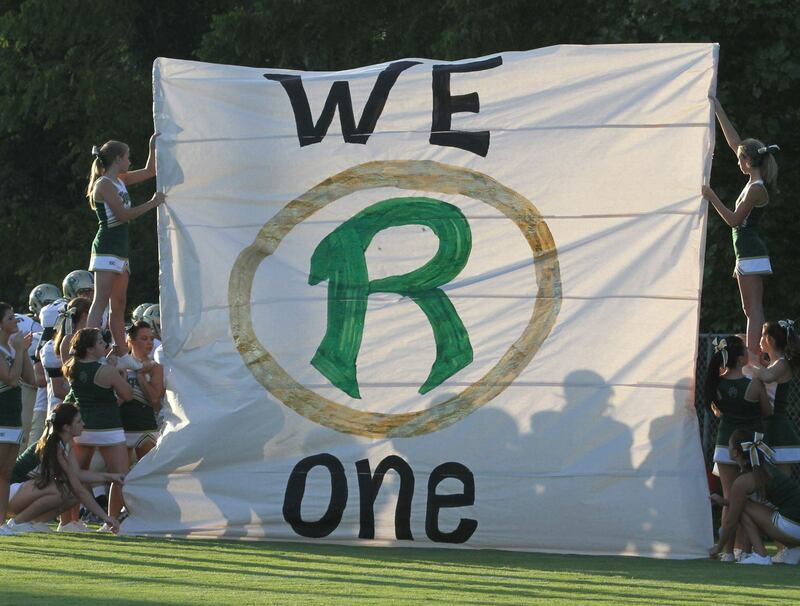 Rockwood entered Fridays game having lost their last 4 season openers. Rockwood won the toss and elected to kick to start the game. Oneida had some early success on the ground but the Tigers held and forced the Indians to punt. On Rockwoods first offensive series the Indians forced a 3 and out. The first quarter eneded in a scoreless tie. 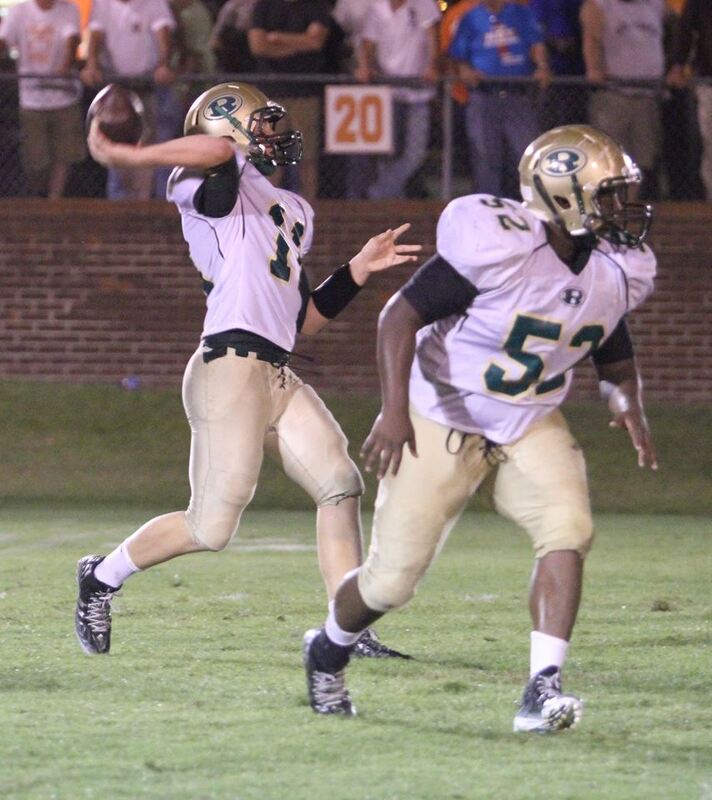 Rockwood would get the ball to start the second half but offensively they still struggled. The quarter went by fast as both teams stayed primarily on the ground and thanks to a stout defensive effort we kept the Indians off the board and the score remained 7-0 as we headed to the last quarter. The 4th quarter mirrored the first 3 as Oneida has success on the ground and would eventually score with 3:57 remaining in the game to go up 13-0. A bad snap on the PAT kept the score at 13-0 and would prove to be HUGE. Last year the Tigers missed their PAT's costing them a chance to win. At this point the Tiger offense had mustered about 60 yards of total offense and it looked like the game was over. Rockwood would run the ensuing kick back to the 28 yard line. On first and 10 Tiger QB Will Warner hit Drake Long who had got behind the Inidan defense for a 72 yard scoring strike and the Tigers were on the board. Longs PAT cut the Indian lead to 13-7 with 3:36 remaining. The Tigers lined up for the ensuing onside kick by Tikaek Hannibal and it was successful and recovered by the Tigers at the Oneida 40 yard line. The Tigers marched downfield and faced a 4th and 8 at the Oneida 28 yard line. Warner hit Drake Long on a pass and Long was hit well short of the first down and fumbled the football. An alert Jason Gaus picked up the lose ball and rumbled to the 20 making the first down by inches. 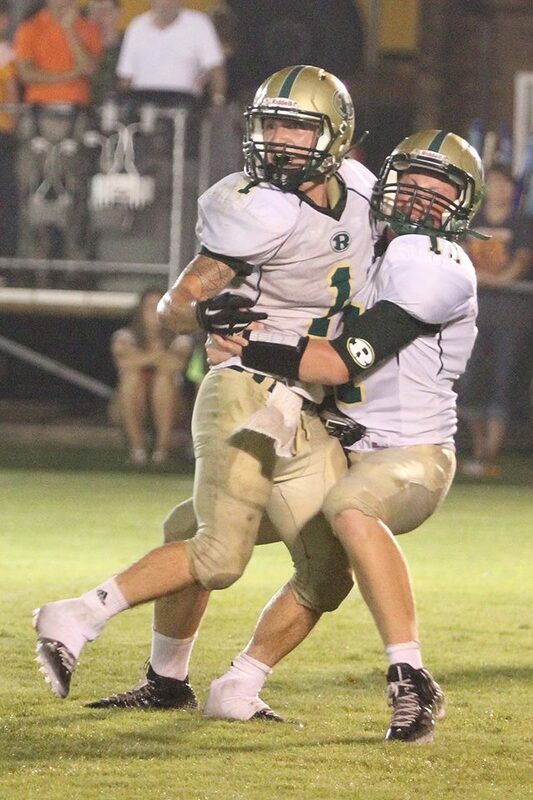 The Tigers kept grindning it out and scored on a Will Warner QB sneak and tied the game at 13 with 36 seconds to go. Long came on and put the kick thru the upright to give the Tigers their first lead of the game 14-13 sending the Tiger crowd into a frenzy!! Oneida would fair catch the ensuing pooch kick from Hannibal at their own 30. Their last ditch effort was picked off by Drake Long with 26 seconds left sending the Tigers into VICTORY FORMATION with Will Warner taking a knee and running the clock out. Just your average season opener under the lights in east Tennessee! Coach Webb commented as he addressed both teams at midfield that this is what High School football is all about, two small east Tennessee schools that are loved and supported by their communities like no other, going at it for 48 minutes. “It ranks right up there with them,” Webb said when asked where the win ranks in his 20 years of coaching. “We’ve had some big ones, but it’s always big when you can beat a quality team like Oneida on the road. It’s great to start off the season with a win.” Webb said he hoped to see Oneida again maybe in week 13 preferably at Rockwood this time. Next up for the Tigers will be the Wartburg Bulldogs Friday August 29 at Civitan Field at 7:30. O Quarter 4 Onieda 43 run, PAT No Good. R Quarter 4 Will Warner to Drake Long for a 72 yard TD Pass. PAT Good. R Quarter 4 Will Warner 2 yard run. PAT Good.